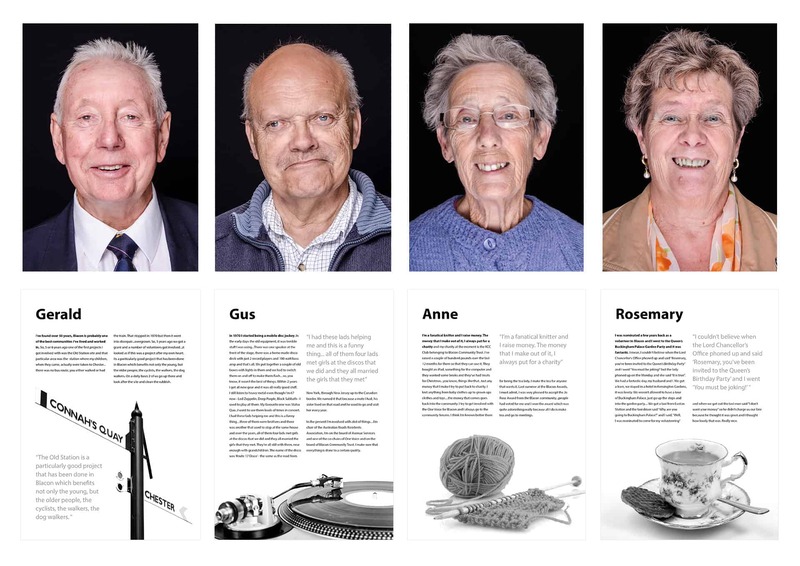 “Remarkable Stories” is a project created by Peter Simcoe with the support of local councillors in the Blacon area within Chester. A photograph of active volunteers within the Blacon community were taken and audio discussion captured. Some of this audio discussion was highlighted on text boards which are to be placed next to the main photographs in an exhibition, whether web based or physically located within exhibition spaces.